Art collecting is a growing pastime in America today. The collection, investments and appreciation is what people desire, but it has always been difficult to locate where to access them. Arthena is revolutionizing the way we appreciate art, providing a crowdfunding platform for fine art. They go above and beyond for their love for the arts in their belief that everyone should be able to appreciate art to the best of their ability. From art studios and gallery tours, to lectures and art fairs, Arthena is your one stop shop for becoming involved more in the arts. Today, we chat with Madelaine D’Angelo, Founder and CEO to discuss their recent funding, the company, and the future of art collection. 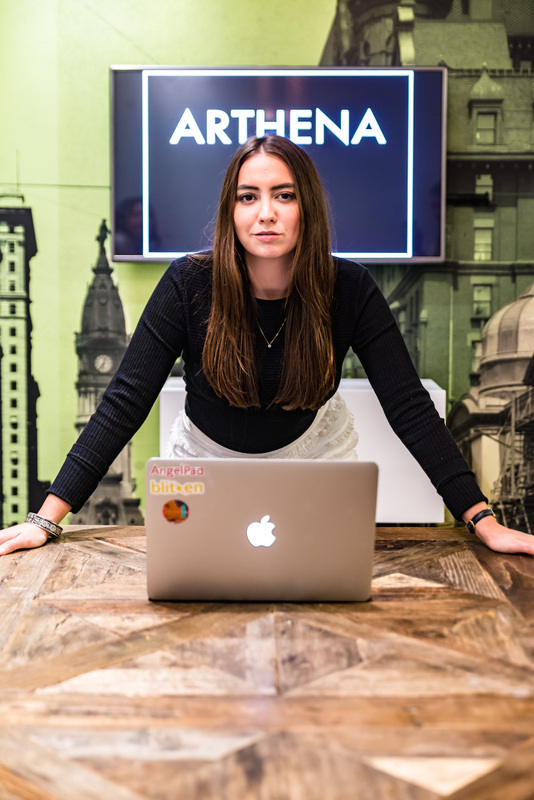 Arthena raised over $1 million in Venture Capital for its seed round from Beamonte Investments, Foundation Capital, Aslanoba Capital, C15 Ventures, and 2020 Ventures. 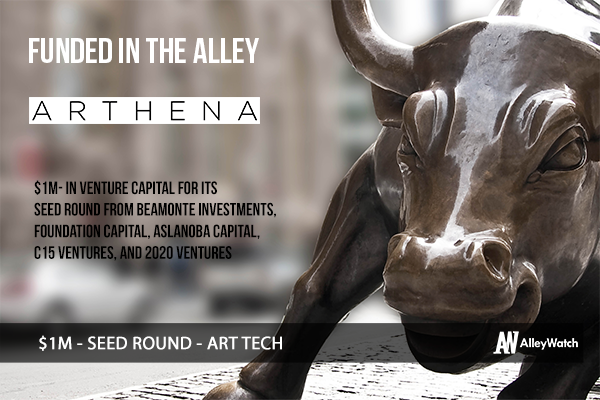 Arthena is the first ever equity crowdfunding platform for fine art. 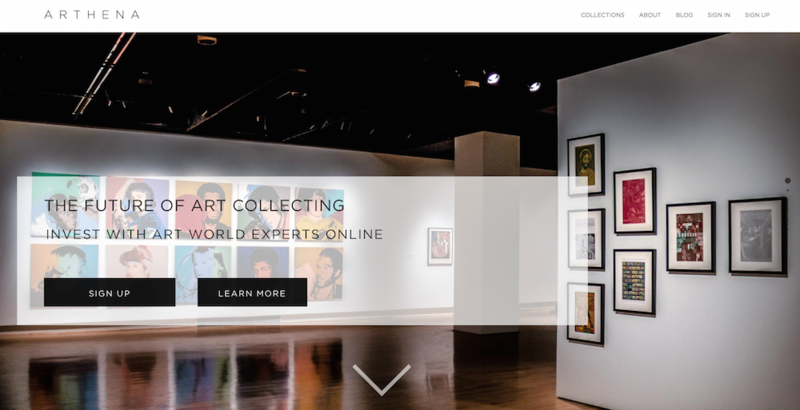 Basically, we give you the opportunity to pool your capital with other users and co-own collections curated by the world’s leading art experts. We also give our users exclusive access to artists’ studios, gallery tours, lectures, art fairs, and other art world events. When I was working as an appraiser, one of my friends showed me a piece he had purchased by a famous artist. It was a print. He assumed that he was making an investment, not realizing that the market for prints is different than for original works. My friend thought that he’d gotten a great deal. He wanted to make a cultural and financial investment. It broke my heart to tell him the real value. I wanted to create something that gave people a trustworthy, vetted, and accessible platform for art collecting, realizing that there was a large audience that wanted to participate in the art world and didn’t know how to get started. Arthena isn’t just different — it’s the first. I wrote a new model that applies equity crowdfunding to tangible assets. We plan to continue to apply this model to other verticals. Arthena is also different as a company because we really believe in education and the cultural aspect of art. Our dream is that everyone can become a collector. With more and more e-commerce platforms for art, I wanted to build a platform that would give users guidance by giving them the opportunity to invest along art world experts. We are tangible asset investment online. In 2014, the Art Market totaled at $53.93 Billion. We want to work with the more traditional market base of people who are experienced art collectors, but we also want to give access to a wider audience of retail investors who may not have a background in collecting. We want to reach a new generation of collectors. After graduating from AngelPad, I spent months in the Bay Area raising a seed round for Arthena. I ended up living in an apartment in Soma with 4 guys who were founders from my class. It was great. We were all together in the thick of it, supporting each other. It’s always difficult hearing the inevitable ‘No’. Surrounding yourself with people who understand what you’re going through makes it easier. I think I ended up talking to around 100 investors in total, not including pitching to angel groups. What impact did participating in AngelPad NYC have in the process? I had an idea for a tech company that would operate off of equity crowdfunding. Before AngelPad, I had 0 technical or legal experience and expertise. It was a game changer. Thomas and Carine gave me the tools I needed to build my company and to succeed. AngelPad constantly pushes you to do more, but also helps to pick you up when you get knocked down. Thomas and Carine’s, insight into company building is unparalleled and invaluable. I don’t know if Arthena would be where it is today without them. We’re looking to raise an A round in the next six months. Other than that, we have a lot of exciting things lined up! Stay tuned. If you can wake up in the morning with a smile on your face, and are ready to face the challenges of the day, then you’re one day closer to building a big company. Some of my BFF’s (best founder friends), Blitzen didn’t raise directly after graduating from AngelPad, and instead focused on building their company. Now, Blitzen is seen as one of the top young companies to watch! I think there’s too much emphasis on raising capital in the startup world, and not enough focus on growing a great company. If you concentrate on building, the investors will come. Additionally, if you can bootstrap, you get to keep equity in your company. Thomas Korte, always cites the “30 Meeting Rule” — take as many meetings as you can, but also know when to leave. Remember that your investors are your partners, and own a piece of your company and what you are putting your life into. You should believe that you are giving them the opportunity to be a part of the next big billion dollar business. I want to continue to share Arthena with the art world and with retail investors. We’re hoping to open and close multiple collections in the next few months. A favorite of the Arthena team is Ken’s Broome Street Bar. It’s a total SoHo staple, and since our office is right around the corner, we end up there a lot. But my personal favorite is Bemelmans Bar in the Carlyle. My parents used to smuggle me in there when I was a kid. The walls are covered with murals from Ludwig Bemelmans, the creator of the famous Madeline stories. It’s also some of the best Jazz in the city. Previous The Mobile Only Workplace?